* Game 1 - Averbakh vs. Spassky - One of the most amazing defensive games ever played. 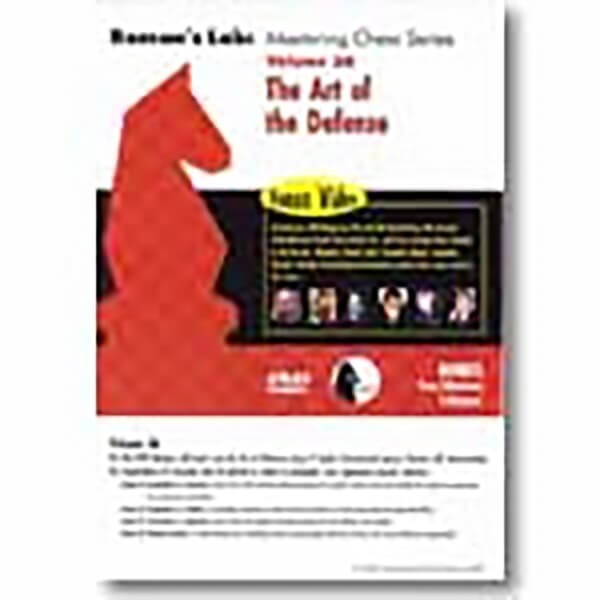 Spassky gives up a knight for a pawn to create long term defensive counterplay. * Game 2 - Vaganian vs. Gulko - An excellent example of passive defense followed by active counterplay and great defending. * Game 3 - Petrosian vs. Spassky - One of the most highly instructive games of active defense ever played. * Game 4 is one of Roman's own, which won a brilliancy prize. It is a great game with lots of tactics and missed defensive opportunities.